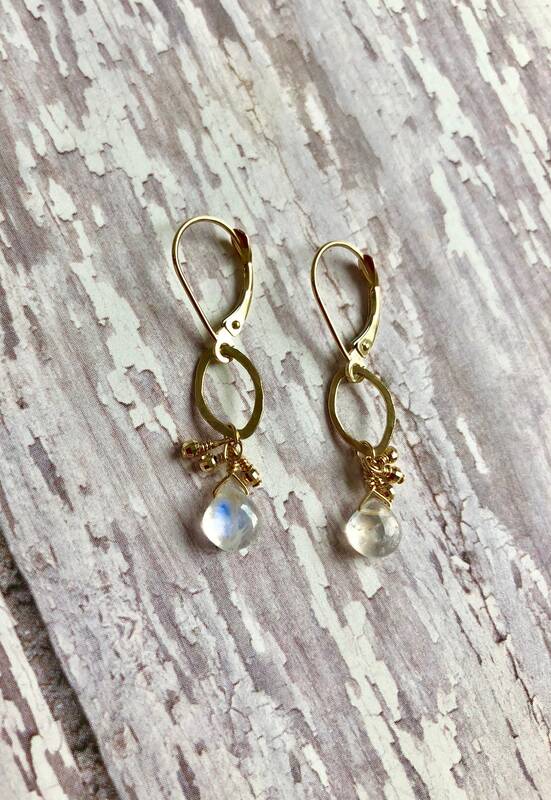 These lovely rainbow moonstone gems are paired with 14 k gold to create a graceful and completely wearable earring. This moonstone has a excellent fire and burns a subtle blue in most lights. But its clarity is what makes it truly special. 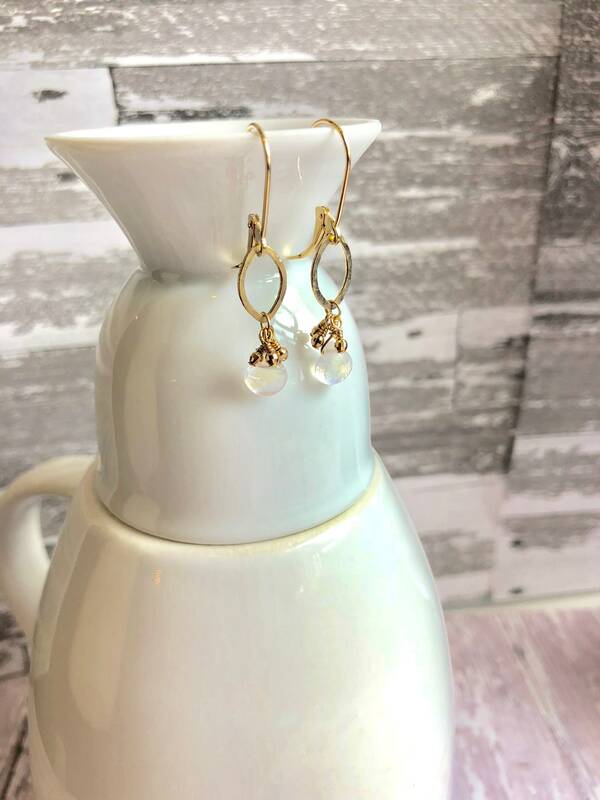 Tiny solid gold beads dangle from a lightly hammered gold link to give the earring movement and sparkle. The lever backs are also solid 14 k gold. These earrings can be worn as an everyday accessory, but we also transition well to evening because of its length. you won’t be disappointed in these lovely earrings. 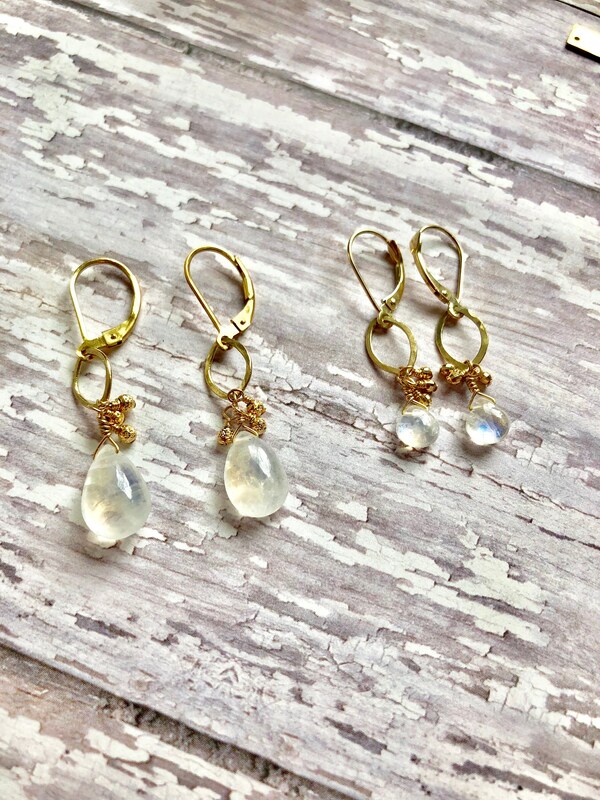 The 3rd picture is to illustrate the difference between the larger moonstone earrings compared to these smaller, more petite gems. The larger pair is also available in my store!